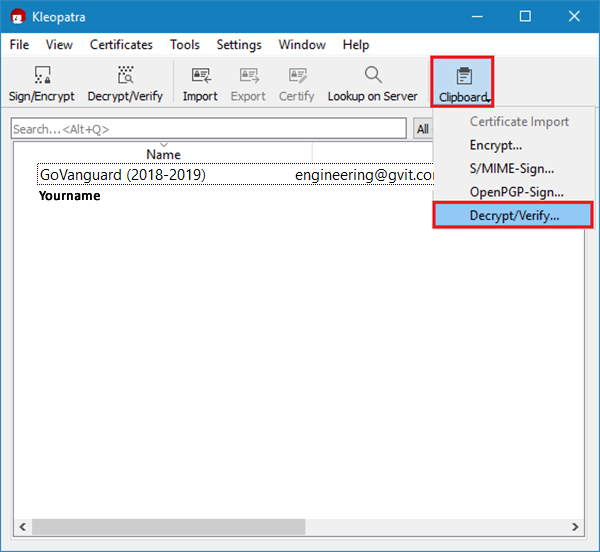 PGP, aka ‘Pretty Good Privacy’ is an encryption program that provides cryptographic privacy and authentication for data communication. 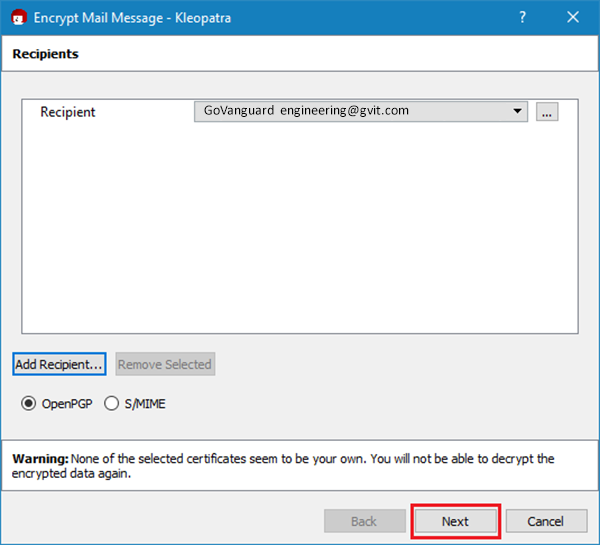 PGP can be used to send messages confidentially. 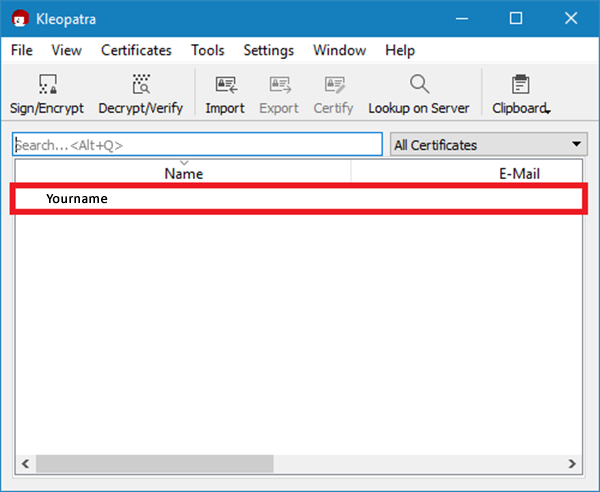 Messages encrypted using public PGP key can only be decrypted using related private PGP key which should be kept secret! Scenario – User wants to send Vendor a private message which could only be read by him/her. 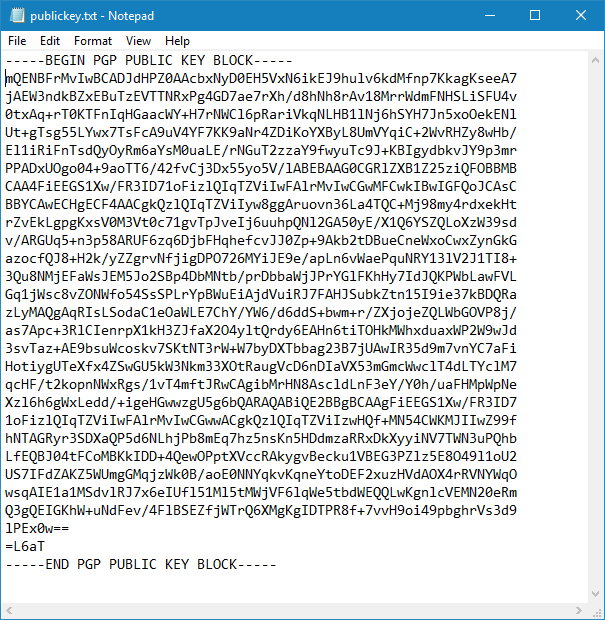 User asks Vendor for their public PGP key, then copies and pastes it to a dedicated PGP software. User writes the desired message and clicks encrypt. 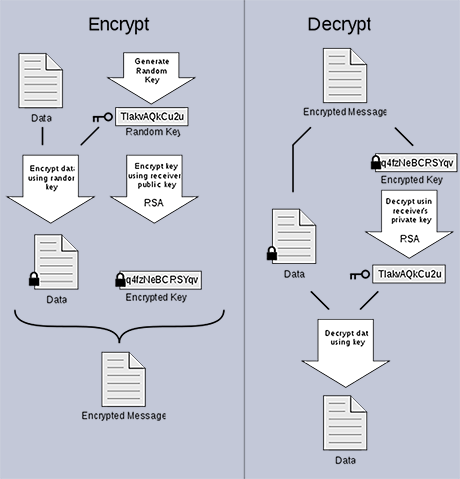 PGP software outputs encrypted message. 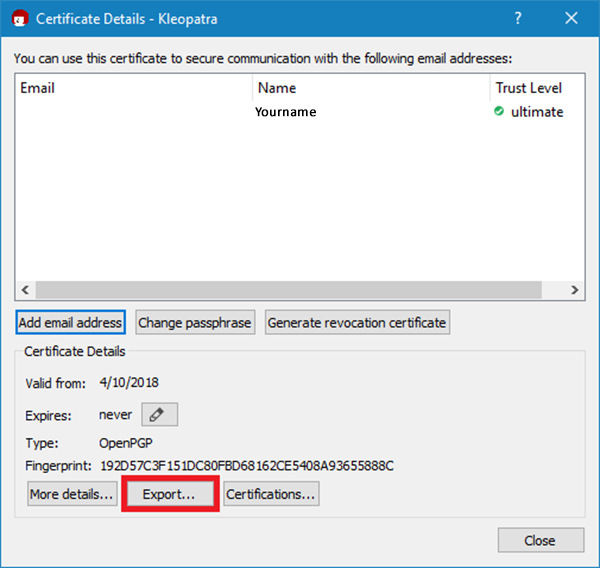 User sends encrypted message to the Vendor thru email, forum, or market. 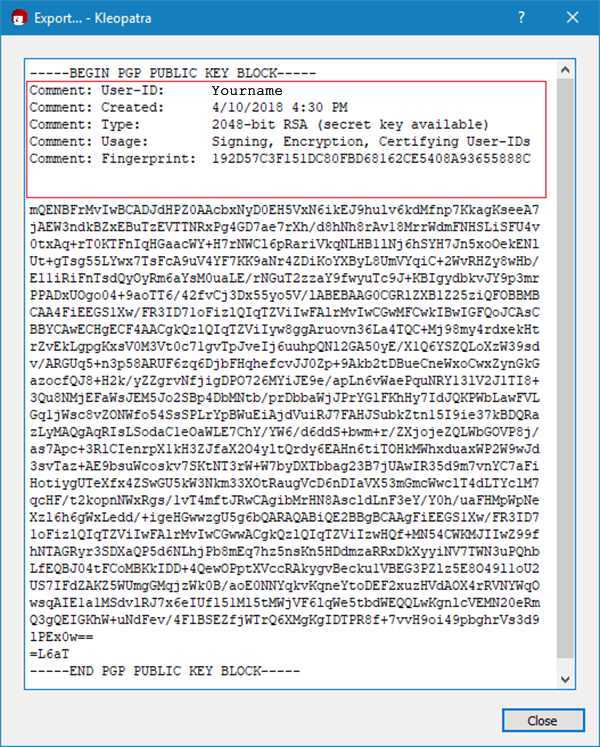 Vendor then decrypts the message using his private PGP key in a similar manner as User encrypted it. 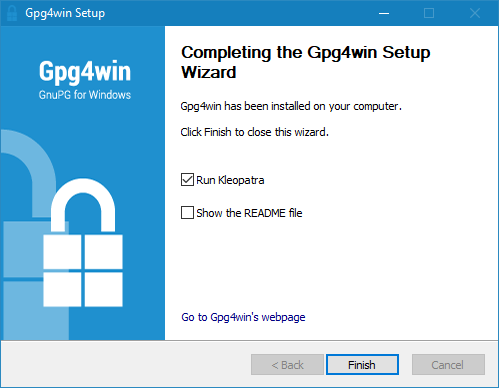 In this guide you will learn how to install “GPG4WIN” with “Kleopatra”, generate Public and Private PGP keys, and encrypt/decrypt messages. 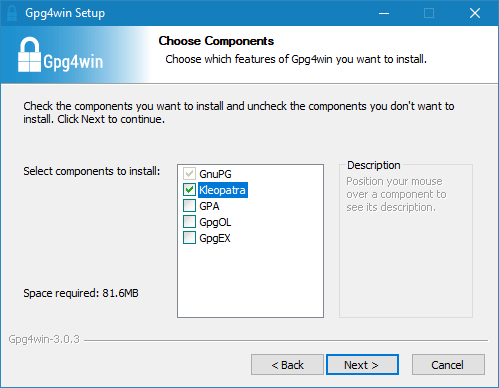 1.1: Download “GPG4WIN” from “here“, then run the install. 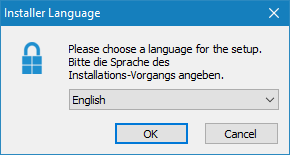 Select your language then click “OK”. 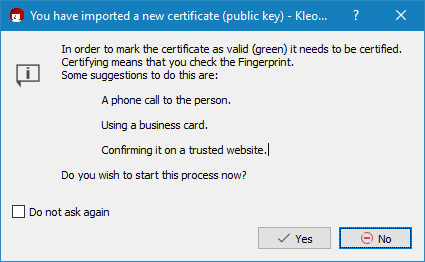 1.3: When You see the dialog box shown below, tick the box named “Kleopatra”. You can untick the other boxes if You wish. Hit “NEXT” then “Install”. 1.4: Once setup is done, make sure “Run Kleopatra” box is ticked, then click “Finish”. 2.1: Once the setup’s done, You’ll see this screen, click “New Key Pair”. 2.2: Screen shown below will pop-up, enter name or email, or both, then hit “Next”. I’ll be using name only. 2.4: Window asking for a password will pop-up. You can either enter password to encrypt your key, or leave it blank. I recommend using a password for extra security. 2.5: Once You see this screen, just wiggle your mouse around until it disappears. It just needs some randomness to generate a good key. 2.6: Once the previous window disappears, you’re done. Just hit “Finish”. 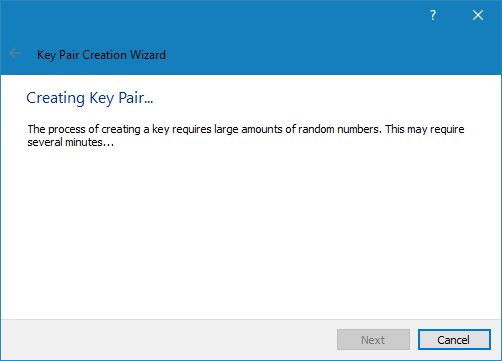 3.1: Once You finish creation of keys, You’ll see this window with an entry name of the key You’ve created. Double click it. 3.2: You’ll see the window shown below, click “Export”. 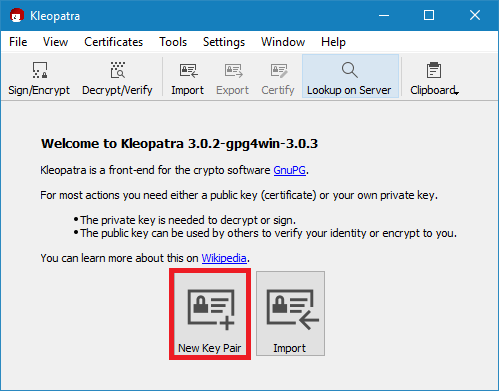 3.3: Now You should be able to see your public key. 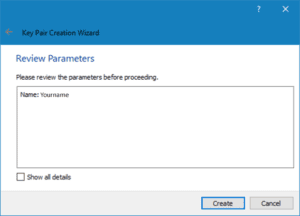 Copy and paste it to an external txt file. After that, remove the lines starting with “comment”. 3.4: Image shown below, should be your final result. 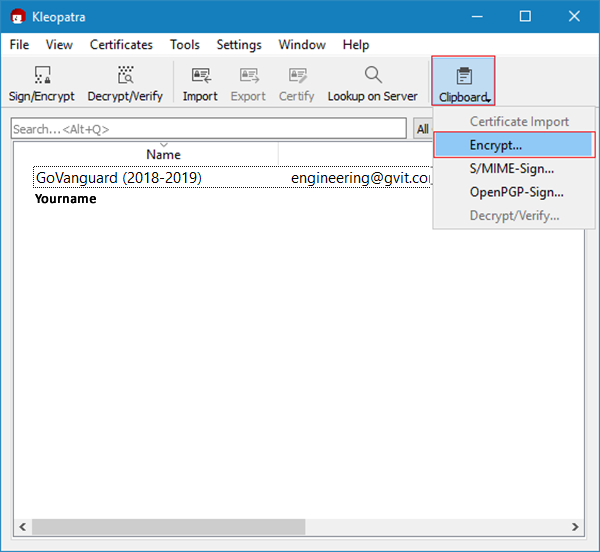 Now You can share your public key with others, so they could encrypt and send You encrypted messages. 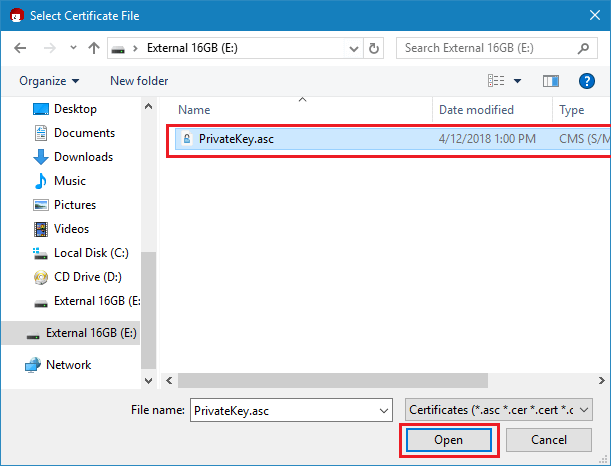 4.1: It’s recommended to back up private key, in case of computer failure, theft or accidental deletion. 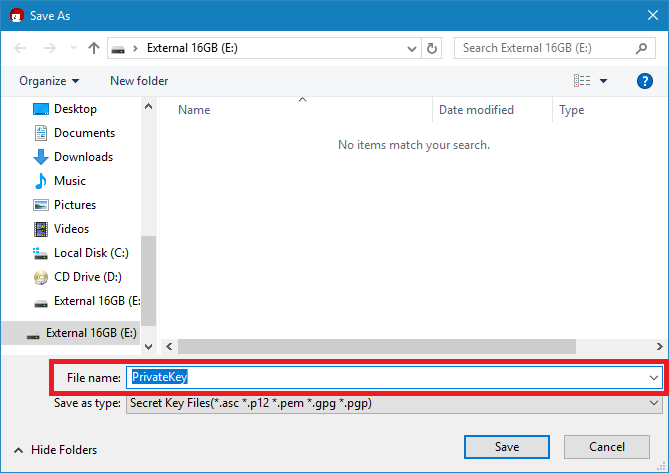 4.3: Click the folder icon, then choose file name and saving location. 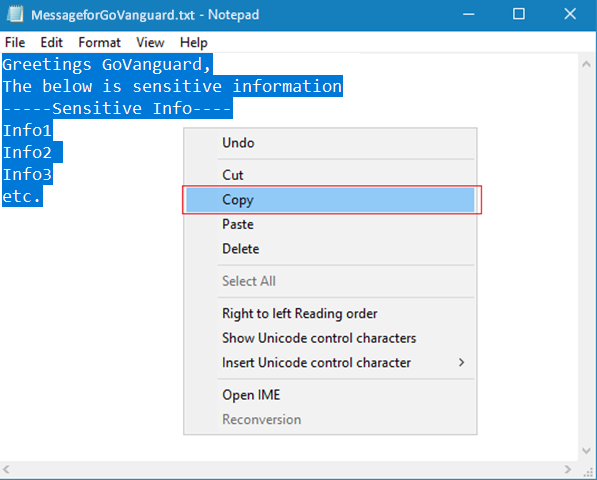 Make sure “ASCII armor” box is ticked, this will allow You to read private key in clear text if needed (Just open the file you’ve saved, using notepad). Keep private key secret, don’t share!!! 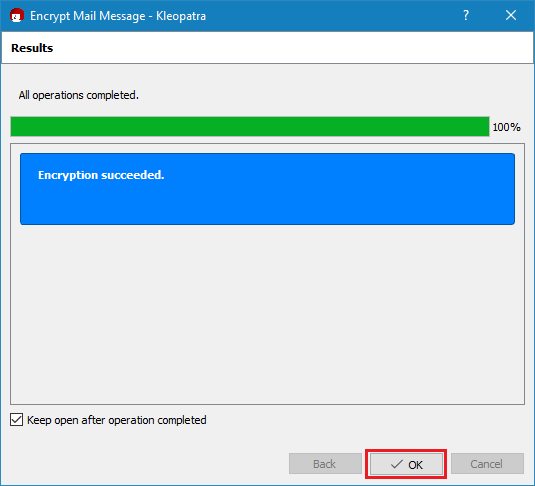 5.1: If You wish to send someone an encrypted message, You have to acquire and import their public key. Then use it to encrypt your message. 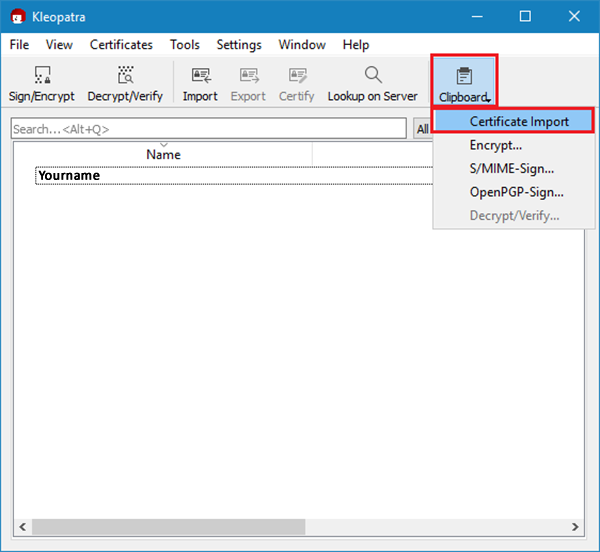 5.2: Once You’ve acquired their public key, copy it to your clipboard. 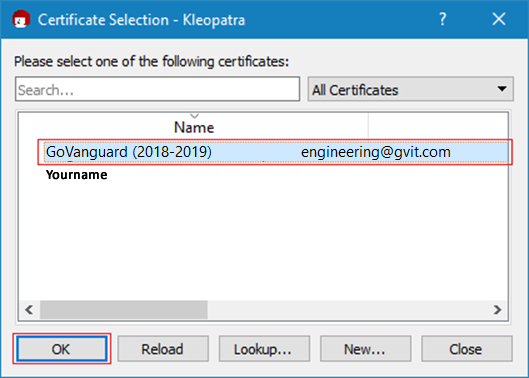 5.3: Go to “Kleopatra”, click clipboard, then “Certificate Import”. 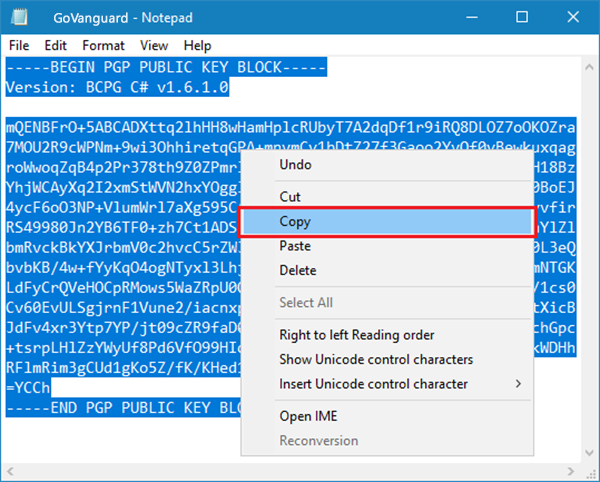 5.5: You’ve successfully imported a public key, now start a new notepad file and type your desired message, then copy it to your clipboard. 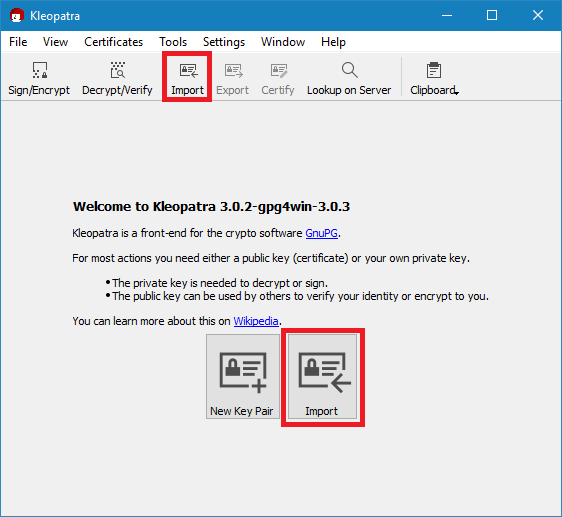 5.6: Go back to “Kleopatra”, then click clipboard, then “Encrypt”. 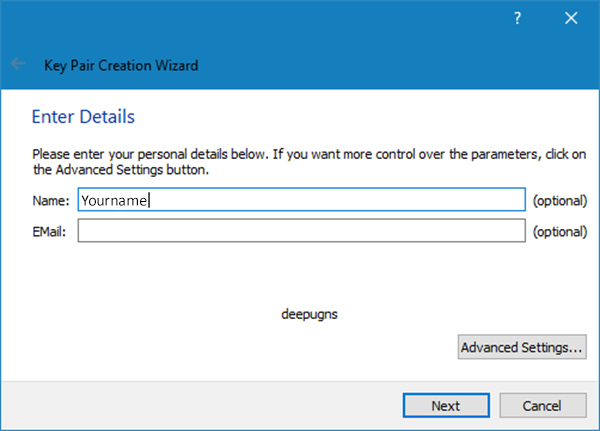 5.7: Window shown below should pop-up, just click “Add Recipient”. 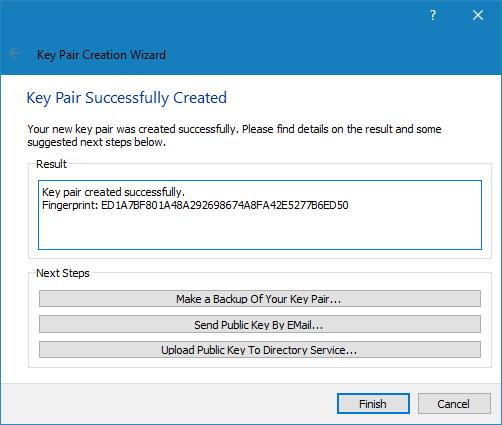 5.8: Then choose your recipient, in this case the entry you’ve previously imported as a public key. Then click “OK”. 5.9: Now click “Next”, then “OK”. 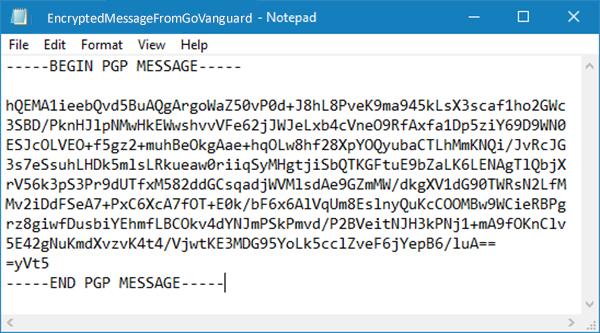 Encrypted PGP message should now be in your clipboard. Just send it to the Vendor, then he/she will be able to decrypt it using their private key. 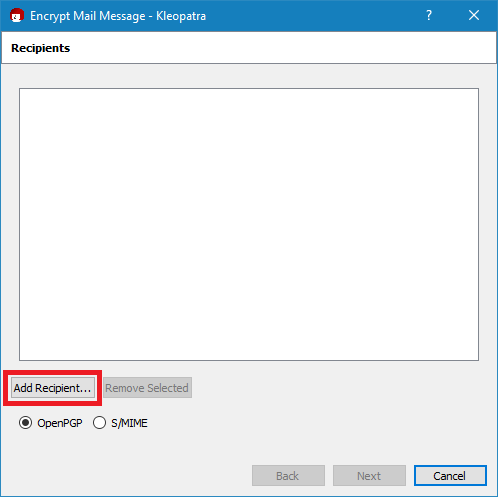 6.1: Somebody encrypted PGP message using your public key. Now I’ll show You how to decrypt it. 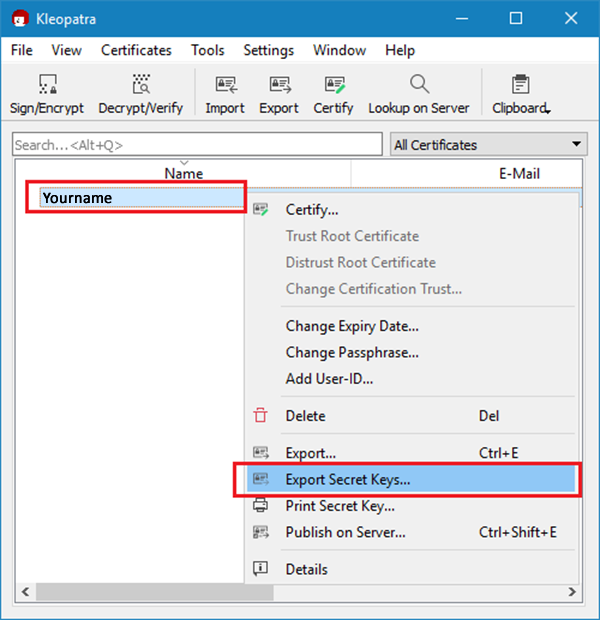 6.2: Copy the message You’ve received, to your clipboard, then open “Kleopatra”. Now click “Clipboard”, then “Decrypt/Verify”. 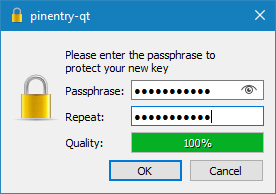 6.3: If You’ve used password upon creation of your keys, then enter that password and click “OK”. Decrypted message should now be in your clipboard, open a text editor of your choice then paste the decrypted message to be able to read it. 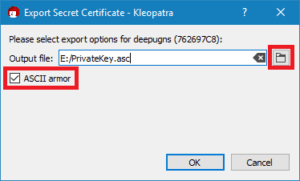 7.1: If You’ve got your private key in clear text, then just import it as You would import public key. 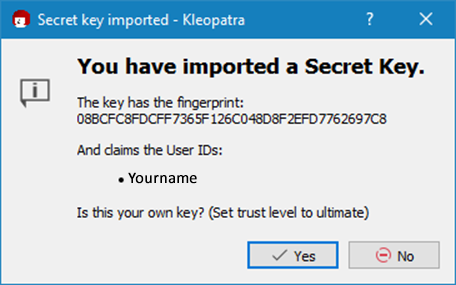 Otherwise click “Import”, then select your private key file and click “Open”. 7.2: You’ll be asked if this is your private key. Click “Yes”. That’s it, You’re done.